The first finalist for the University of Iowa president is scheduled to be on campus Thursday. 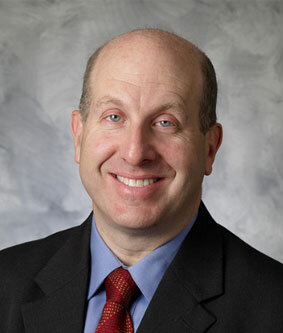 “The first candidate is Marvin Krislov, who is currently president of Oberlin College in Ohio,” according to Board of Regents spokesman, Josh Lehman. Lehman says Krislov will spend all day tomorrow in Iowa City. “He’ll meet with a variety of campus constituents throughout the day, and then at the end of the day, at 4:45 in the Memorial Union on the second floor in the ballroom, he will have an open forum,” Lehman says. “Anyone is invited, the public is invited to come and hear Mr. Krislov speak. And there will be a question and answer period.” That open forum will last until 6:15. Lehman says the same format will be used for all the finalists. “There will be three additional candidates, one on Friday, one on Monday of next week and one on Tuesday of next week. Those candidates will be announced within 24-hours of their visit one at a time. And they will in turn spend a full day on campus with constituent meetings,” Lehman says. Those meetings will be followed by forums with each of the candidates from 4:45 until 6:15 p.m.
Lehman says you can make comments on each of the candidates, even if you can’t make it to the forum. “Throughout the process, anyone is welcome to give feedback. There is a secure website set up at the University of Iowa presidential search website for each candidate. Anyone is free to give feedback on the candidates,” Lehman says. The schedule is set up to have a new president named by next week. “The Board of Regents will meet on September third to do closed door interviews with each of the candidates…and then name that president later that day,” Lehman says. Some members of the U-I faculty have questioned the speed of the process from the forums to naming the new president. Lehman says this process follows the ones used recently to select new presidents at Iowa State University and the University of Northern Iowa. He says the finalists in those came to campus, had their on-campus interviews, did an open forum, and then within a week or a week-and-a-half from the start of the process, the board made a selection. “So, the time frame is very, very similar,” according to Lehman. Live video streaming of Krislov’s public forum and a recording upon its conclusion will available on the U-I presidential search website.